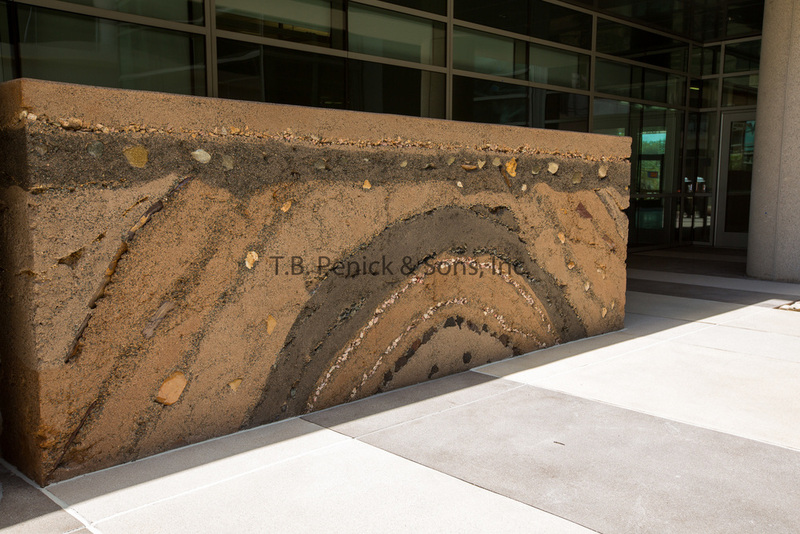 Tucked away in Mesa community college’s Math and Science building you will find three sedimentary walls as well as terrazzo strips. 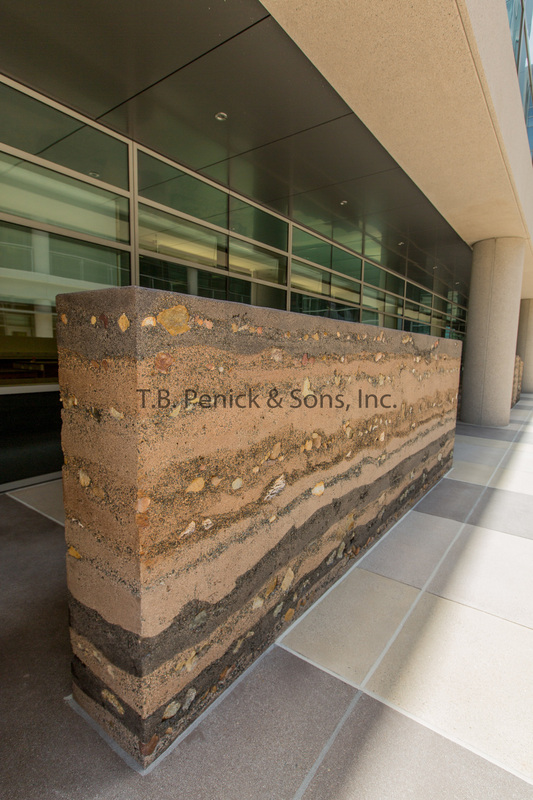 There are three sedimentary walls, two of which incorporated local rock. 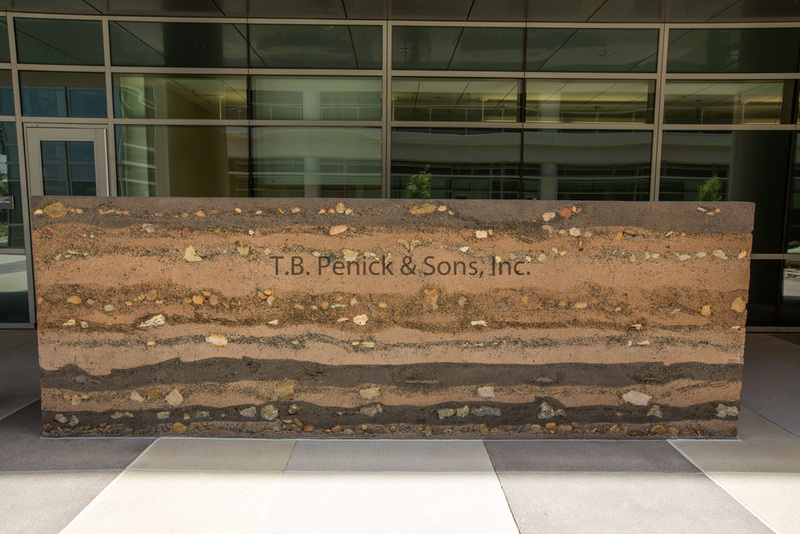 For one of the walls, Donald Barrie a geology professor at Mesa collected actual samples of ten different local rock units and had Penick embed these materials into the wall. 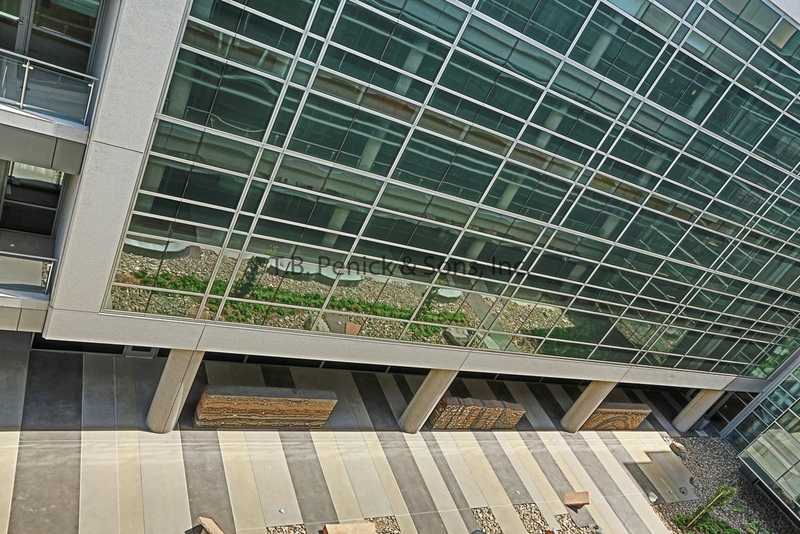 The terrazzo strips incorporated are meant to show mathematical aspects for the math department. 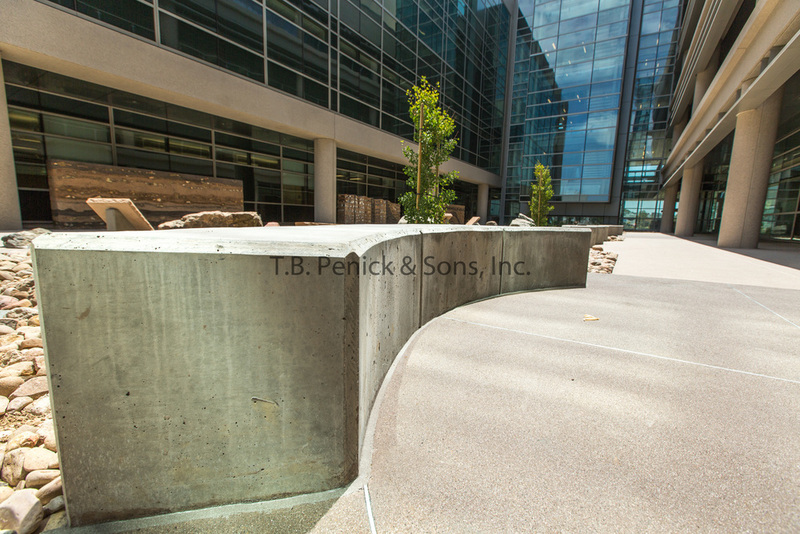 Barrie stated that from the beginning Penick was dedicated to designing the walls and constructing them so that they were not only scientifically accurate but aesthetically pleasing. Stating that the walls have generated a lot of enthusiasm on campus, that students are asking about the walls and wanting to know what the layers represent. 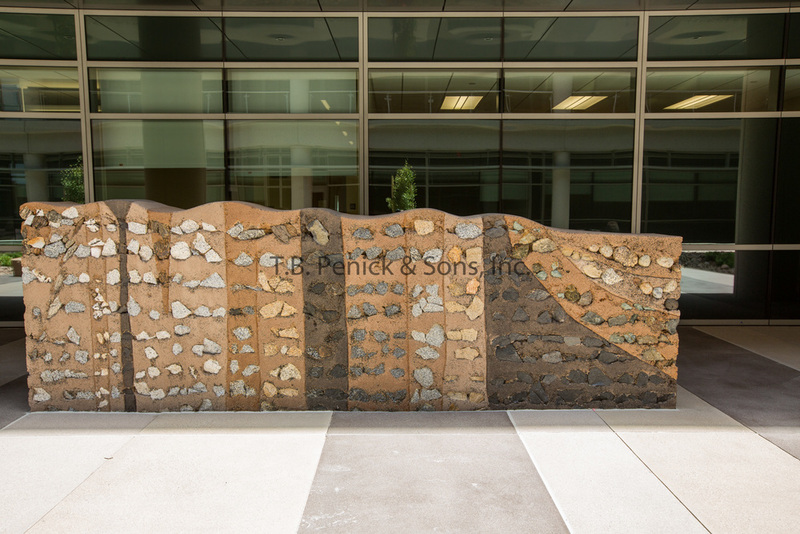 The walls have helped market geoscience courses to students.